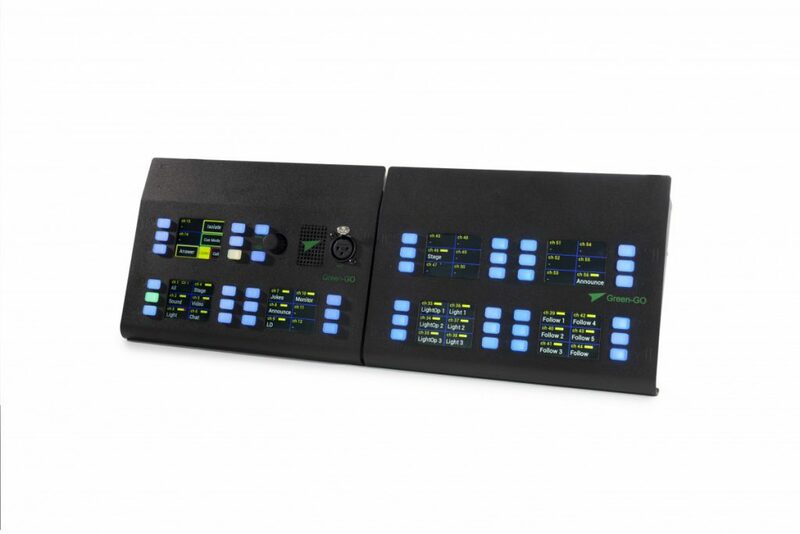 The Green-GO Multi-Channel Desk Station provides direct access to 32 separate users or groups through individual multicolour push-buttons. Each button can be assigned to a single user or a group. 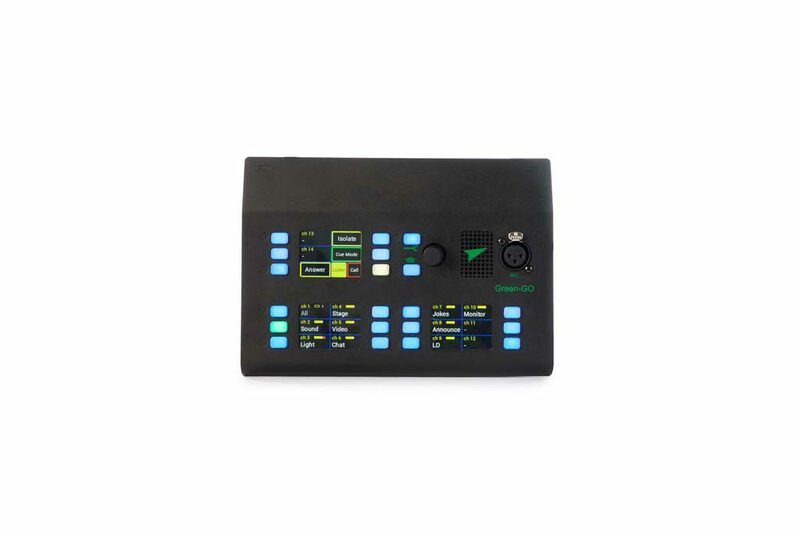 Three colour TFT touchscreens indicate the name, volume level and status of the channels. 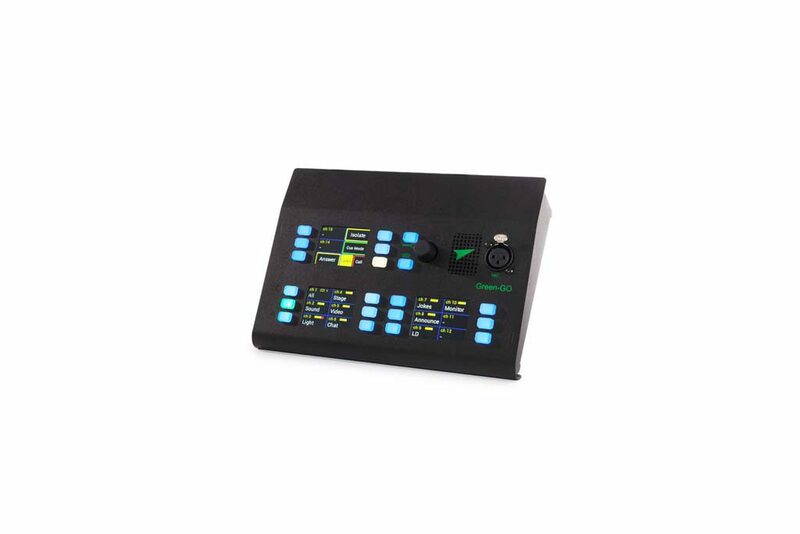 The push-buttons next to the touchscreens are used to control the operational features for each channel (‘Talk’, ‘Listen’, ‘Call’ or ‘Cue’ – depending on which function is selected). The Multi-Channel Desk Station has an internal loudspeaker. 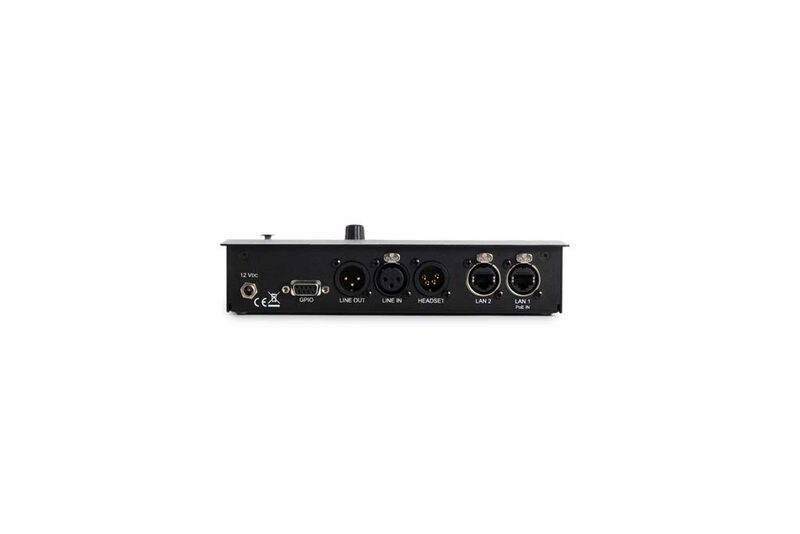 A 3-pin XLR microphone connector on the front panel allows you to connect a stalk microphone (not supplied). On the back panel are two Ethernet LAN ports with an internal 100MB switch. There is also a GPIO connection located on the back of the device (2x in, 2x out). 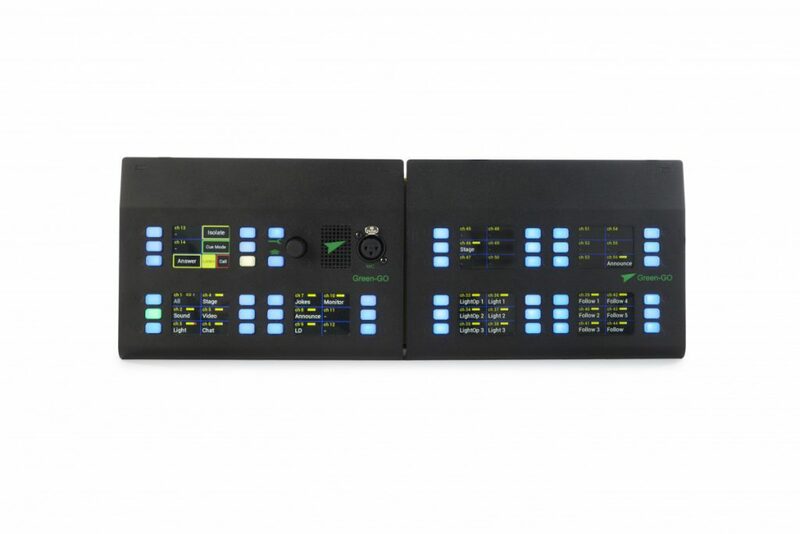 The additional Green-GO Multi-Channel Rack (MCXEXT) or Desk (GGO-MCXDEXT) Extension operates as a slave device to the MCX. Up to 9 Green-GO Multi-Channel Rack Station Extensions can be daisy-chained to one MCX master.